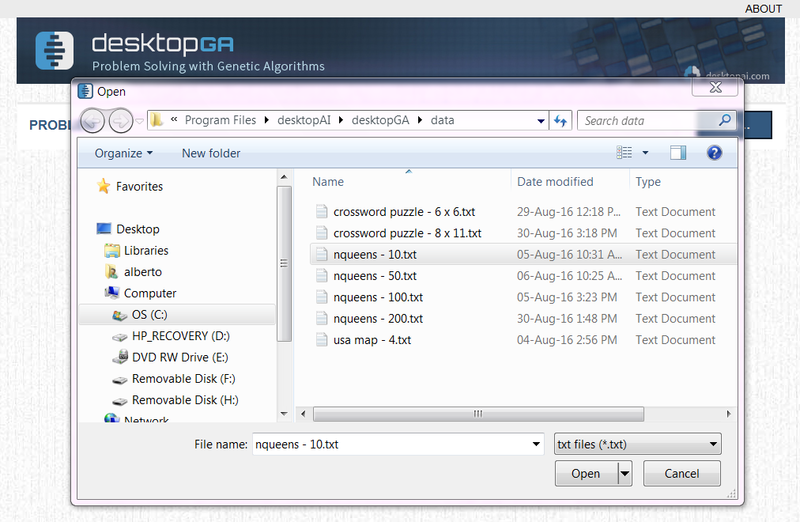 desktopGA is a freeware application for Windows (.NET 3.5 or higher) that allows you to solve concrete problems using genetic algorithms (GAs). You can define your own problem as a plugin, but you can also use any of the predefined problems to learn about the inner workings of this fascinating AI technique. Version 1.0.0. It’s totally FREE! The application uses a plugin architecture that allows you to define your own problem by implementing a set of interfaces in the .NET language of your choice. 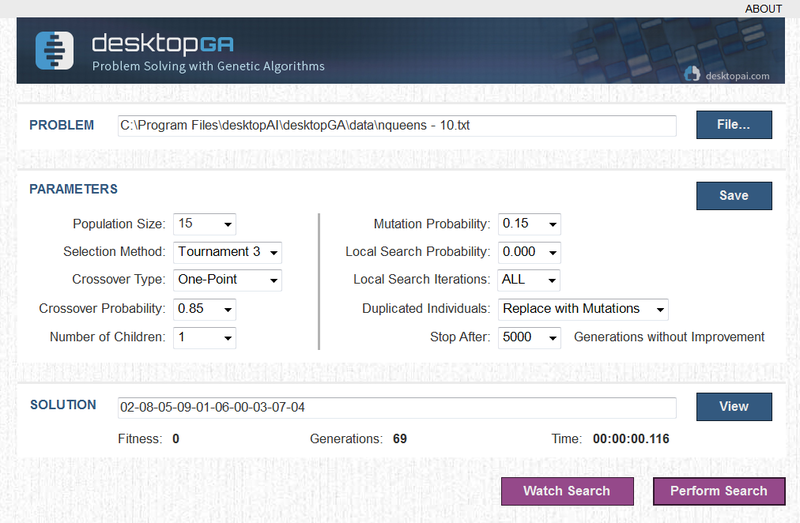 You can easily adjust the GA parameters until you find the right combination for a particular problem. Watch a population of individuals evolve and concentrate on promising regions of the search space until a fit enough individual is found. 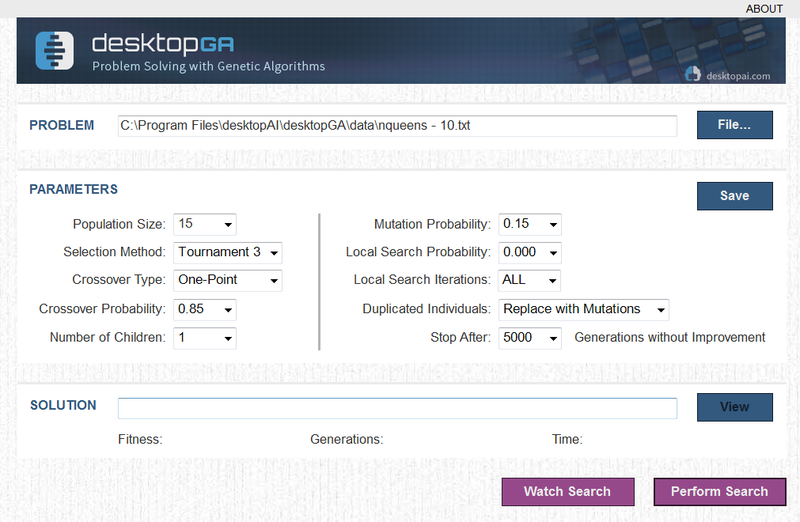 You can visualize the genotype and phenotype of each individual, and the combination of operators that originated them. 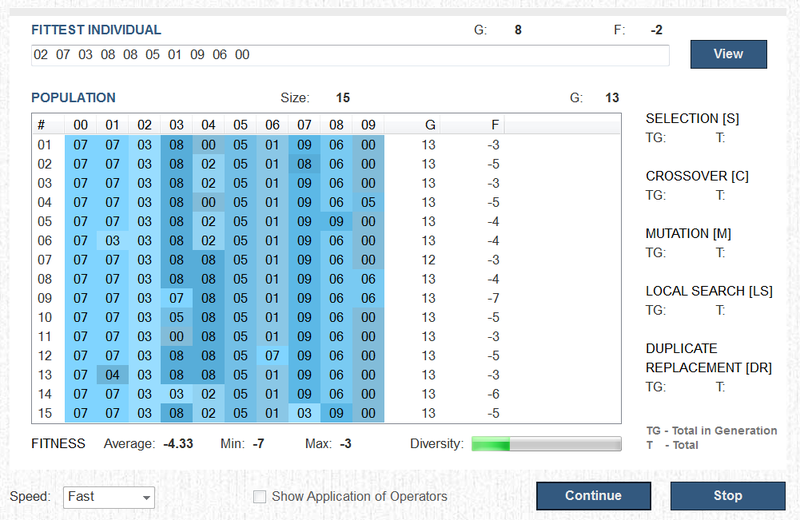 The application comes with three predefined problems: N Queens, Map Coloring, and Crossword Puzzle. WHY SHOULD I USE IT? · HOW DO I USE IT?